Part of Canada's unique appeal is its four distinct seasons: Spring, Summer, Winter, and Fall. Some might argue that Canadian Winter's are the most spectacular season (those people are usually snowboarders), while others would declare Fall the most beautiful, with deciduous shedding their leaves, signalling the start of cooler weather. But it's the pure enjoyment of all seasons, and the breathtaking transitions between them, that resonates with those that call Canada home. 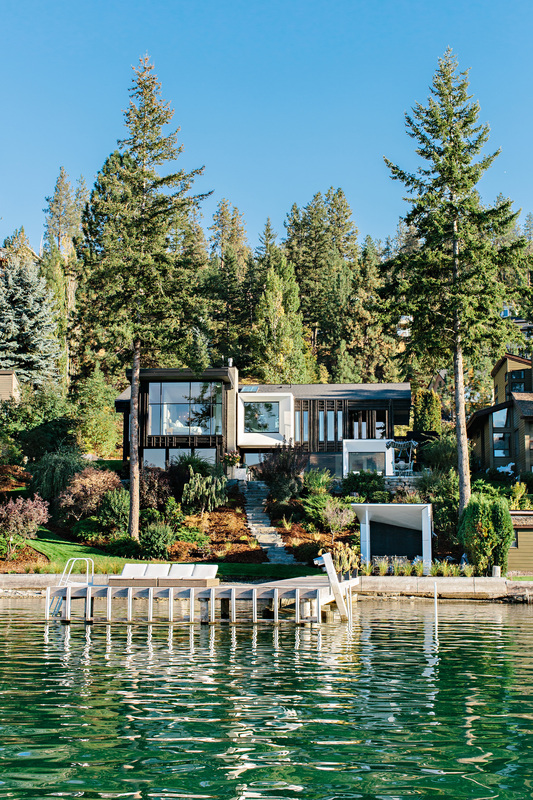 So instead of shutting the door on this truly unique experience, Nathan Buhler, founder of BLDG Workshop, transformed a dark, clunky home on Kalamalka Lake (loving named The Lake Of A Thousand Colours) into an architectural celebration of nature. The original 1970's home's split-level layout divided the space into seven distinct levels, shunning the site's abundance of natural light and making the home both dull and disjointed. The challenge for Buhler became creating a sustainably-minded house that was both cost-effective and an homage to its natural environs. Often homeowners speak of all the bright, shiny, state-of-the-art sustainability features they've thoughtfully designed into their new homes while brushing past the reality that the easiest decision towards sustainable practice is working with existing architecture rather than demolishing and starting from the ground up. 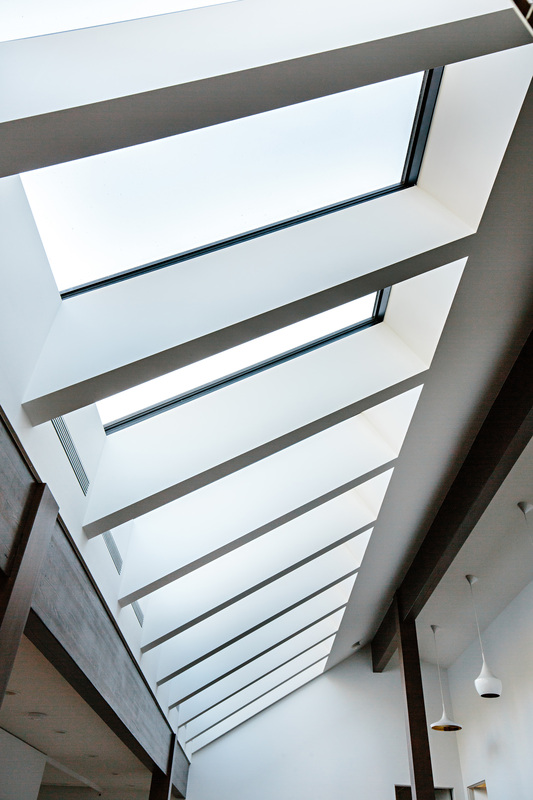 Introducing skylights and carving windows into the existing structure, Buhler was able to both harness and control natural light allowing him to honour the current form of the house while completely transforming its essence. 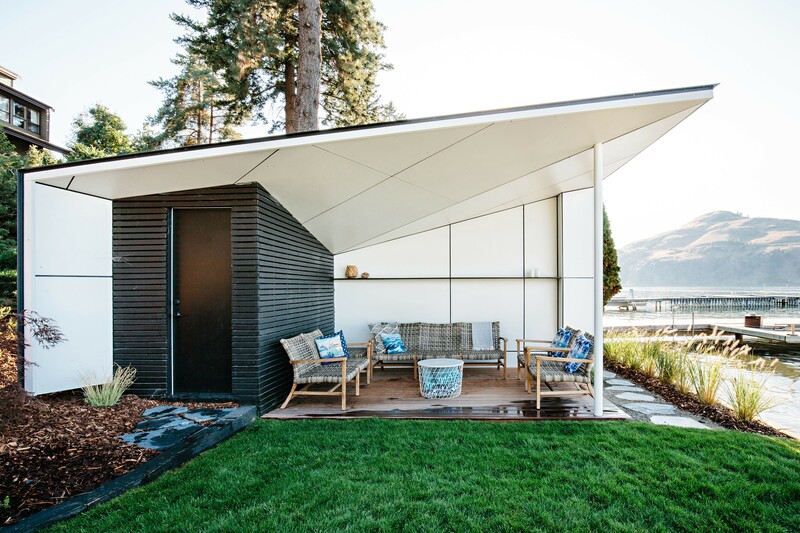 By paying close attention to the home's solar orientation, Buhler was able to ensure the spaces' inhabitants are showered with light at various times of the day and throughout the seasons. The most dramatic example is the installation of a 27-foot long, floor-to-ceiling (or in this case earth-to-sky) window (seen below) which seamlessly blends the comfort and luxury of the indoors with sweeping views of the outdoors. The home's exterior is just as diverse in textures as the landscape itself. It boasts charred cedar cladding treated in the traditional Japanese style of Shou Sugi Ban - a unique method of preserving and (BONUS!) weatherproofing cedar which involves charring a woods surface. A pure white, non-textured finish (not altogether dissimilar to basic stucco) was chosen as an adjacent material that allows the cedars character to stand out. The result: a modern home grounded in nature. Buhler has built a house whose exterior is robust and resilient enough to withstand even the coldest snowstorm, while creating an interior that's soft, flexible, and constantly transformed with the suns path. 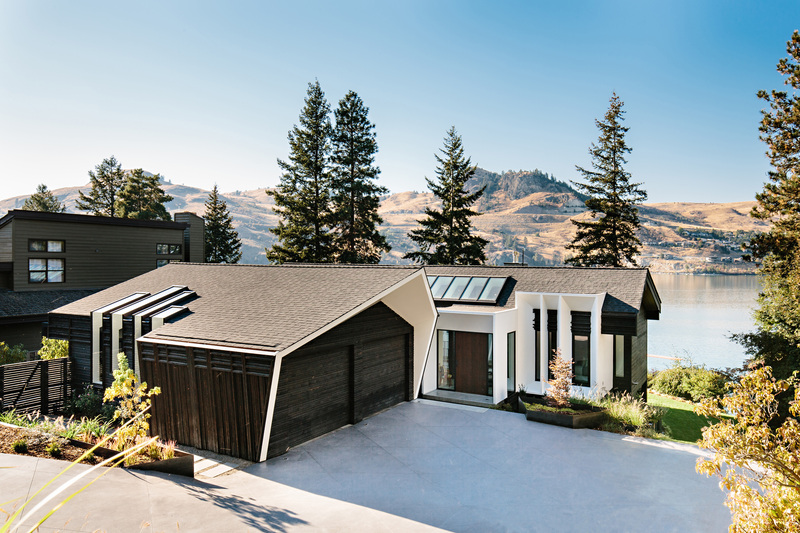 This Kalamalka Lake Home is a true expression of the symbiotic relationship between the architecture and the environment. The ultimate all-natural Canadian sweet treat might not be maple syrup after all, but rather a home built to showcase the beauty of nature and the change in seasons. Every. Single. Day. For more information about new projects and custom builds, contact BLDG Workshop. Images provided by BLDG Workshop. Researched and written by Sarah Wright, freelance writer and design enthusiast.